Lexus has designed its first seven-seat version of the RX luxury SUV, the new Lexus RX L. Lexus says it has added more seats to the cabin while “maintaining all of the comfort, convenience and quality that are true to the brand’s omotenashi principles of hospitality”. The new model is now available to order in the UK, with customer deliveries commencing mid-May. 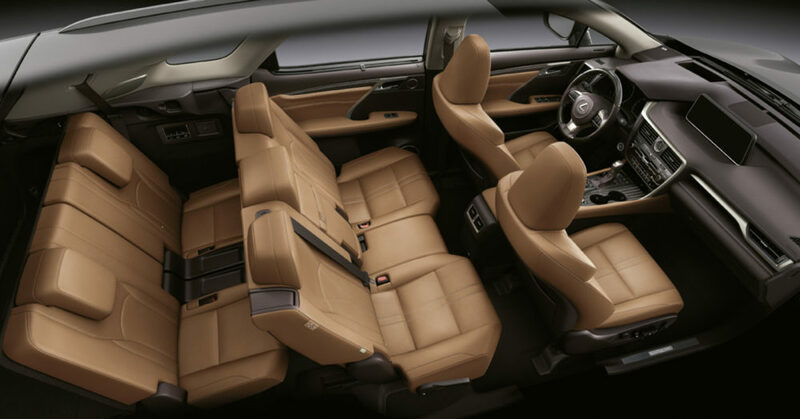 Inside the new RX L there are two extra seats but on the outside, the car is only 110mm longer than the five-seat model – barely the width of a man’s hand. By adding those few extra millimetres, Lexus has in effect created a new body for the RX, rather than trying to squeeze more seats into its existing model. The RX L is not only longer at the rear – the angle of its tailgate has been made slightly steeper as well. Lexus says that fine adjustment is actually important in making sure there’s comfortable headroom for anyone sitting in the third row of seats. Valuable millimetres have also been gained simply by moving the rear wiper mechanism from the top to the bottom of the window. Lexus says the seats are finished to the same high quality as the rest of the cabin and are comfortable for youngsters or adults for long journeys or shorter trips.